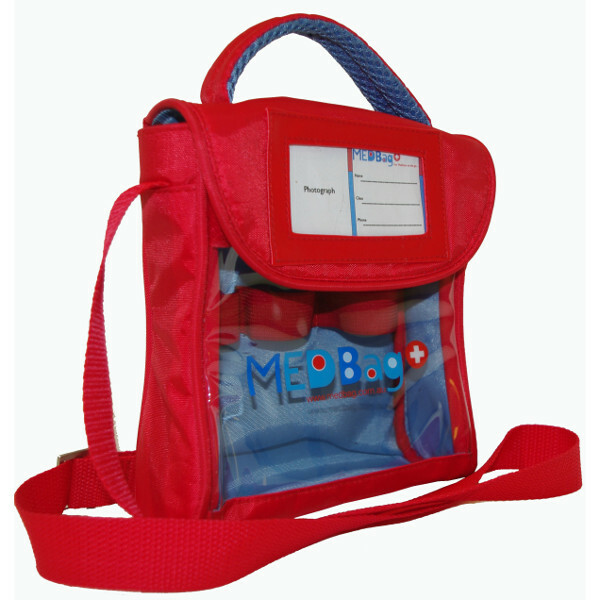 MedBag Large medicine carrying case for kids is designed specially for children who have to carry bulkier meds such as spacers. 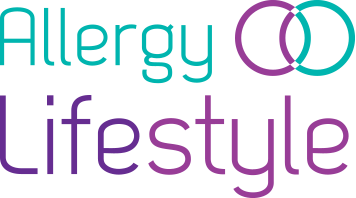 Designed for storing and carrying a variety of medications such as EpiPen®, Anapen®, Emerade® or Jext® auto-injectors, Asthma Inhaler and spacer, and antihistamine. Bag is 21 cm high, 18cm wide & 7cm deep. 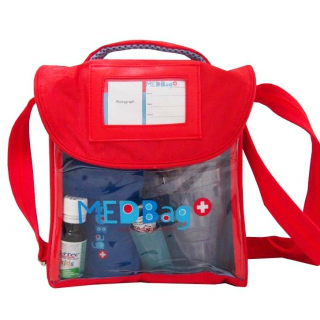 The MedBag Large medicine carry case is designed especially for children who have to carry bulkier medications with them. 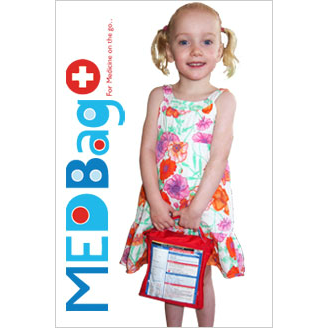 It is a portable, durable bag that allows children to carry essential medicines with them affording you peace of mind. 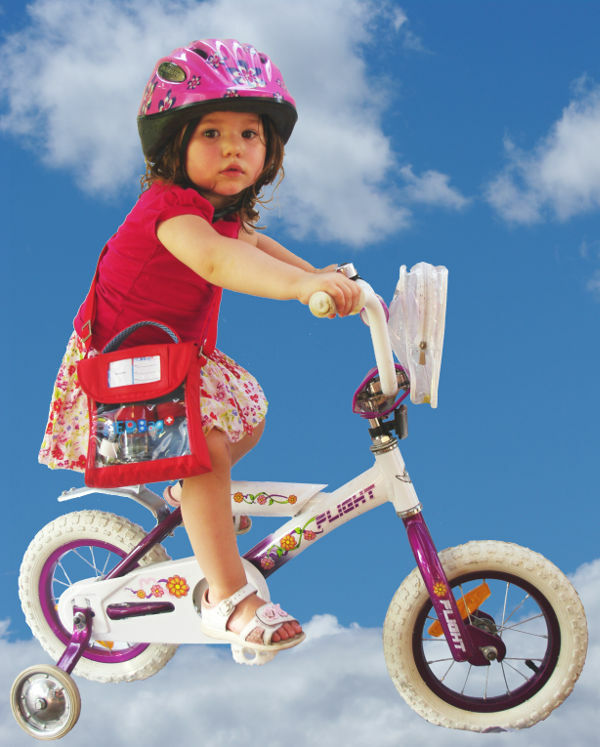 Children and carers love the bright friendly bag which has been designed with practicality in mind for storing and carrying a variety of medications such as EpiPen®, Anapen®, Emerade® or Jext® auto-injectors, Asthma Inhaler and small spacer and antihistamine. To protect adrenaline from changes in temperature, store in MedBag Adrenaline twin or single cases (must be purchased separately). 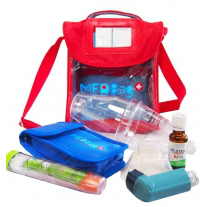 The MedBag has a clear plastic front to be able to see the medications inside. The closure flap is fastened with velcro for easy access to medications in an emergency. On the front flap, there is a clear plastic pocket with an ID card with space for the child’s name, class, an emergency phone number, and a photo. The long strap and cushioned handle make it easy for kids to carry the bag with them everywhere. 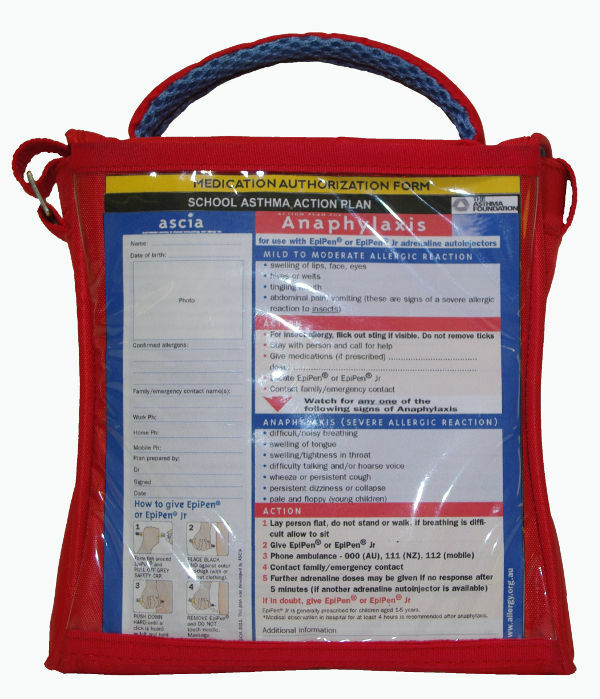 The back of the MedBag has a large clear plastic pocket for an Anaphylaxis Action Plan, and Asthma Care Plan and a Medication Authorisation Plan. These show what should be done in case of Anaphylaxis or an Asthma attack and also show what medications the child is on and when they should be taken. An ID card which can be easily personalised with a child’s photo and ICE information. A cushioned carry handle with shoulder adjustable strap. Clear pocket on the reverse of the bag to store emergency/medical action plans. They should be reviewed and used to draw up a personalised emergency action plan by your doctor or Allergy Specialist. You will need to change the emergency assistance/ambulance number to the correct one for your own country. Please note: Contents shown in image are for demonstration purposes only and are not included with the bag. Perfect size bag for my daughters inhaler, chamber and other meds. I really like that it is clear and centrally located, so much easier for traveling. Beats using a large zip lock bag.